When King Arthur gathered his Knights around his famous round table to plan their next adventure they may have enjoyed wine, song and feasts brought to the table by local serving wenches! 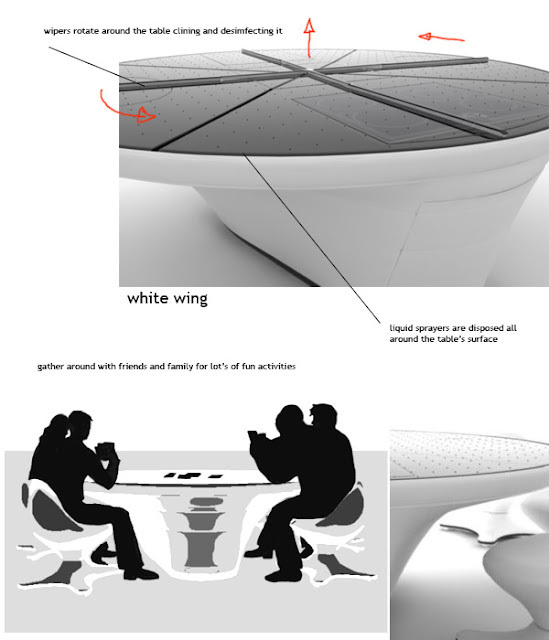 The round table of tomorrow is a fully interactive, multi-purpose appliance that facilitates the sustenance of the average family unit! 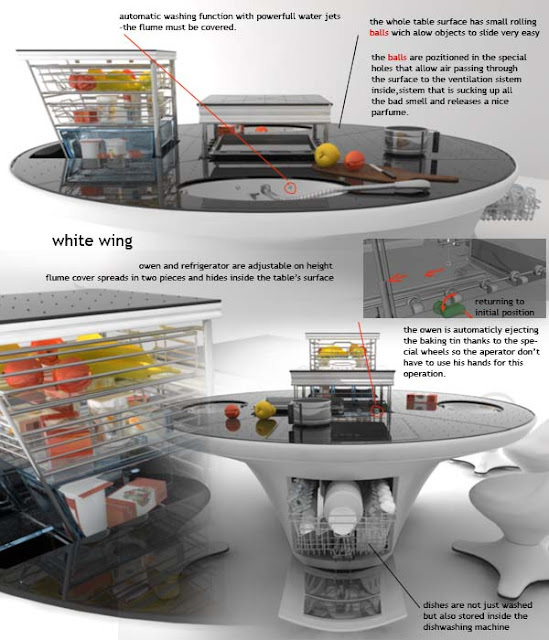 This concept kitchen has pop out appliances that allow this design to be classified as a “Shape Shifter”. 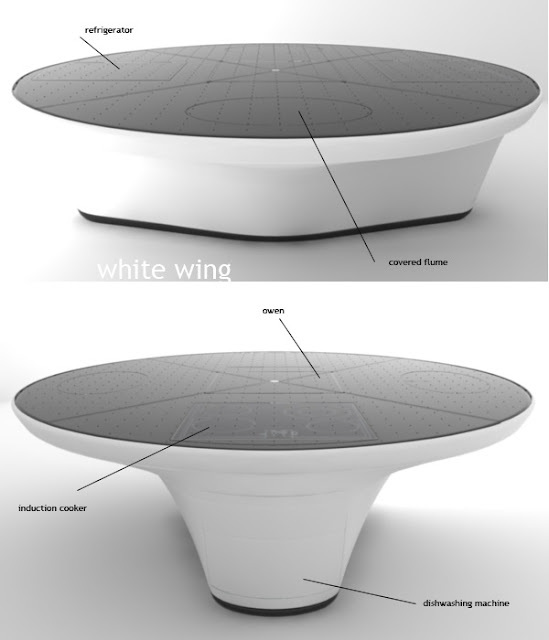 The designers have come up with some interesting ideas such as using the dish washer as a non-consumables storage zone, but this would certainly have its limitations if you have a large amount of crockery or a small amount of dishes that need washing...God forbid that you may have to bypass the technology and use the age old method of washing up! However, one of the basic reasons for having a round table remains the same. It enables those trusted members gathered around it to look each other in the eye and communicate. This is a secret to successful kitchen design as social interaction and holistic atmosphere can define the space in which the kitchen sits making the kitchen a positive place to be!